Shopping is regarded as one of the great stress relievers. 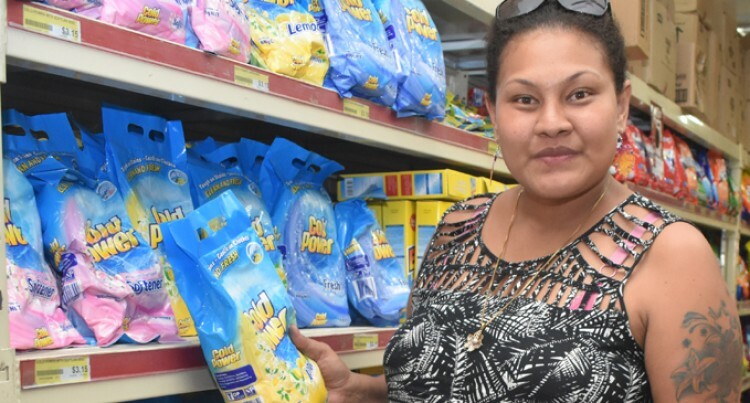 Nadi businesswoman Gloria Halima Waqatabu, 27 agrees. “I always make a shopping list of the things I need in the house be­fore going out for shopping,” Mrs Waqatabu said. She does her shopping on a fort­nightly basis and her budget is $400 for a solid two weeks ration of groceries. Mrs Waqatabu was spotted shop­ping at MaxValu Supermarket in Nadi Town with her daughters Faith, 6 and Nasi 5. “I love to do shopping with my family,” she said. “It’s more like a “family do-to­gether” thing. “I ususally have my husband around to push the trolley and lift the heavy items for me like rice, flour and sugar bags etc. “My children are always ahead of me touching products in the store and asking: “Mommy do we need this?”. “Yes, it’s really convenient to get done with shopping when you’ve found just what you need, but searching a little more might help you get something more than just that. “You never know how benefi­cial that little extra patience may prove. “While going through items on sale it is quite obvious, quality of products is most compromised. Always make sure you check for good quality products. “Shopping is best enjoyed when you know you that you have the best value for every penny you are spending. “So be a wise shopper. “Always compile a list of neces­sary items before going shopping. Without a list, you will tend to buy unnecessary items. “It’s a good habit to compare prices in other shops. Another good habit is to check the quality and expiry dates of goods. She keeps an eye out on canned foods. “If the cans are dented do not buy,: she said. She is originally from Vatu­karasa, Baravi, Nadroga and has maternal links to Nailaga, Ba. Her busy schedule sees her nei­ther based in Nadi, or travelling to Papua New Guinea at certain times of the year. “Always know your prices first before you buy anything at a sale. Make sure to check the expiry dates.“Wandering into shops aim­lessly will only make you crave to buy more and may also have you end up spending over your budget.” She said.